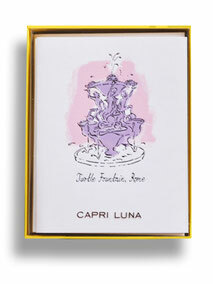 Our boxes are exclusively designed for Capri Luna. We have three type of boxes: Everyday box (eco-fiber wrapped bottom with a vinyl lid), Holiday box (all vinyl), and Specialty box (eco-fiber wrapped set up). 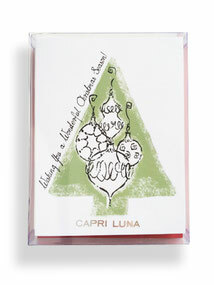 Vinyl lids include the Capri Luna logo in silver foil. 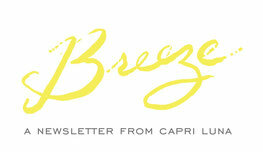 "Look for the lemon yellow boxes!" 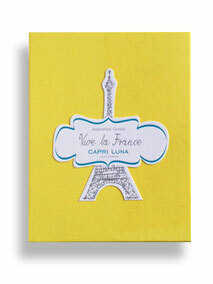 See our collection of boxed note cards.